Why Agile Development Methodology Proves to be a Better Choice for your Project? Agile methodology includes various methodologies in itself. Agile methodologies like Scrum, FDD, etc. are all part of the agile manifesto, which was introduced in the year 2001. 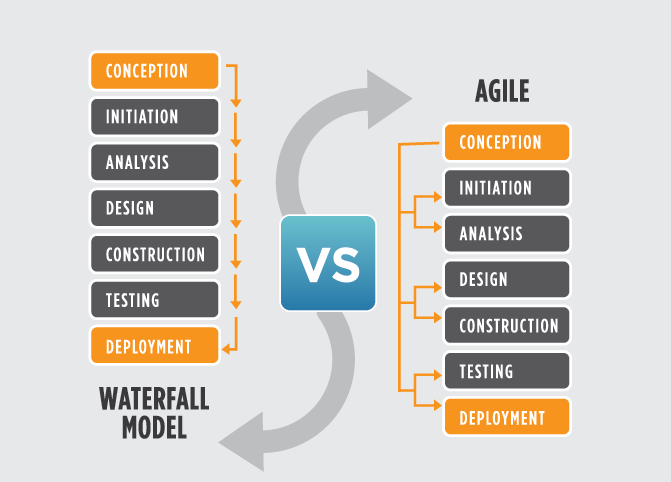 Agile methodology is often compared with the waterfall model in the software development industry. However, agile approach is considered to be better. It uses an incremental approach where a sample prototype is discussed with the customer. The prototype helps in understanding the key aspects, including the requirements. The consecutive prototypes reflect the changes done in the previous prototypes. This keeps happening till the customer is satisfied, providing better end-product to the customer. The idea is to maintain product’s quality in the entire phase of development. In the year 2001, several agile principles were discussed and agreed upon under the Agile alliance. The principles were to be followed for agile software development. A single iteration would not give a clear picture of the process. You may also like: Are You Ready to Move from Waterfall to Agile? ← What are the Most Valuable Attributes in a Mobile Tester?